Explore Vytex windows reviews from contractors, installers and homeowners who know their window series & models, customer service and know they stack up against the competition. I have two quotes for windows at my property. The first is for the Vytex Potomac and the second is the Soft-Lite Imperial LS. Our local supplier only offers the Vytex and this supplier comes highly recommended on Angie’s List. The prices are similar, so I was wondering if there is anything I need to know about, maybe seal issues? I know the Soft-Lite windows well and have installed a number of them, but never installed the Vytex, though looking at their brochure, they look very solid windows. I believe the Potomac is their top range window. If it were up to me I would go with the Soft-Lite Imperials, because I know they offer excellent performance. If you have a HiMark window dealer in your area, you may want to have a look at them before making a final decision. I am busy shopping around at the moment for windows, but feel that Sunrise Restorations and/or Vanguard series are just out of reach when it comes to budget. Does anyone have any recommendations on quality middle-range windows in the Alabama area? There are two names that come to mind that should be available in your area. The first is the PlyGem or Great Lakes. These are solid windows, while there is also the Vytex Fortis windows. While I haven’t installed them personally, I believe they do offer good performance numbers and may be worth looking at. I am impressed with the Vytex Fortis range, they are decent windows that look good. Personally I wouldn’t recommend Heritage or the Alside Excalibur to my clients. They are badly designed and really cheap. In my opinion contractors pushing these windows aren’t established in their area. I am busy replacing windows in my home and have two estimates so far. One is for the Vytex Fortis windows and the other is for the Wincore 5400 series. The Wincore is more expensive and looking at both windows I think they look similar in design and quality. Ideally I want middle of the range windows that are reasonably priced, but offer decent quality. Any suggestions is appreciated. If you only have those two choices, then go with the Vytex Fortis windows. These have decent performance numbers and they are a good looking window. The Wincore, while they may be more expensive aren’t as good a quality. Remember your Vytex windows come with composite reinforcements and a frame that is foam filled, so they are definitely the better choice. I am busy replacing thirteen windows and have been through all the sales pitches and ended up with three estimates that I really like. The problem is now I don’t know which to choose. The Vytex Heritage quote came in at $8,590 for all the windows installed, but I noticed that their warranty is a little shaky, there are so many exclusions. The Sunrise Vanguards came in at $8,233 and they have an excellent warranty, I also got the Simonton Generations quote at $6,908 and the SoftLite Elements quote at $7,466. Now I have read all the forums and reviews, so I know that choosing a good installer is important, but each installer had different methods and I want to ensure that the windows and installer I choose will give me the best quality. I spoke to Vytex and their installers use a spray foam to fill the gaps, while SoftLite uses a foam insulation. Can someone please give me some advice on how to proceed? 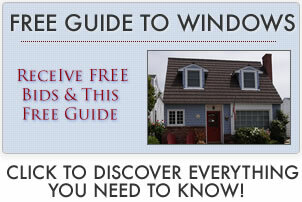 I have been shopping around for prices on eleven replacement windows for my home in Northern Virginia. My requirements are that they must not be too expensive, they must be energy efficient and come with a decent warranty. So far I have quotes from Vytex, Alside and Great View. Is there a company I am missing? Personally I wouldn’t recommend you go with Vytex. The Great View is a Vytex brand and in my experience they have never been a good choice. Alside are not my favorite windows, but they are an improvement over Vytex. I can’t really say much about Vinylmax, as I have never used them before.